The new student trophy card that will go live on January 21, 2018 will have a refreshed look, student usage and achievement details, and will be written in HTML5 coding, making it visible from nearly any device that student's can access the Internet from! Here's a sneak peak of the new trophy card. Oh, did we mention that we've added additional achievement challenge items?! Student will have the opportunity to earn various animal-print onesie's to customize their avatar with. 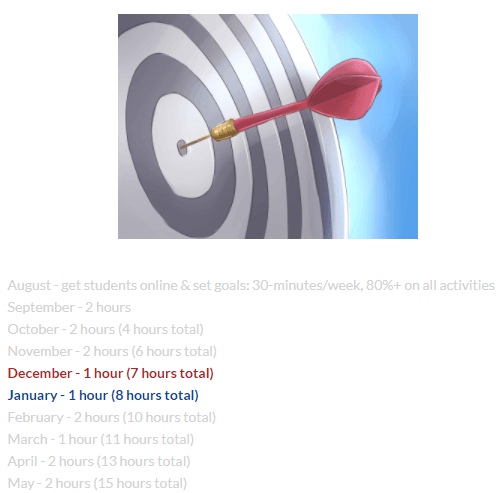 These achievement challenge items can be unlocked by students based upon the total number of hours they use Penda Learning. Be sure to review the monthly student usage goals found on the Penda Learning blog, teacher message board within the teacher account, or published monthly in the Penda Learning eNewsletter.